Peking around 1900's Li Wo private bank note: 10 Copper. AU. 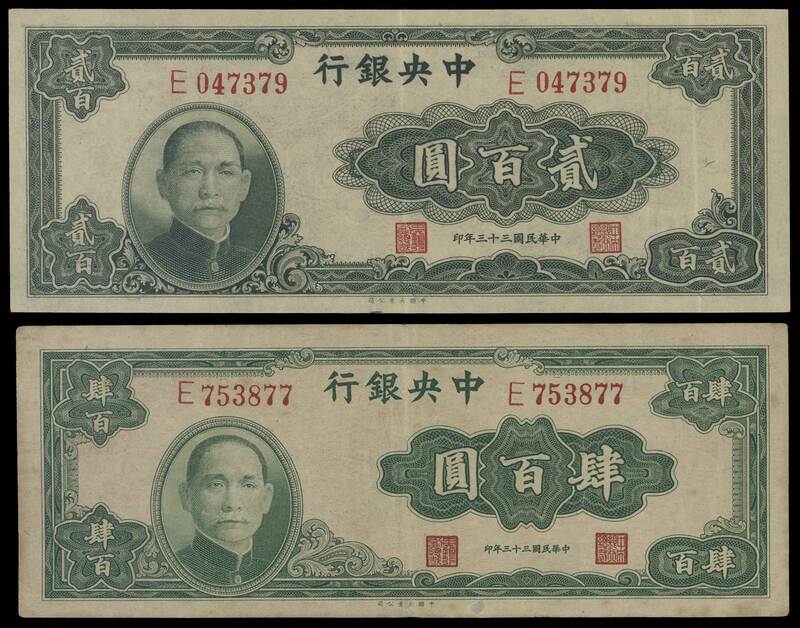 Fukien Shunchang Private Bank notes x 2: 1928 2 Jiao x 2. AU. 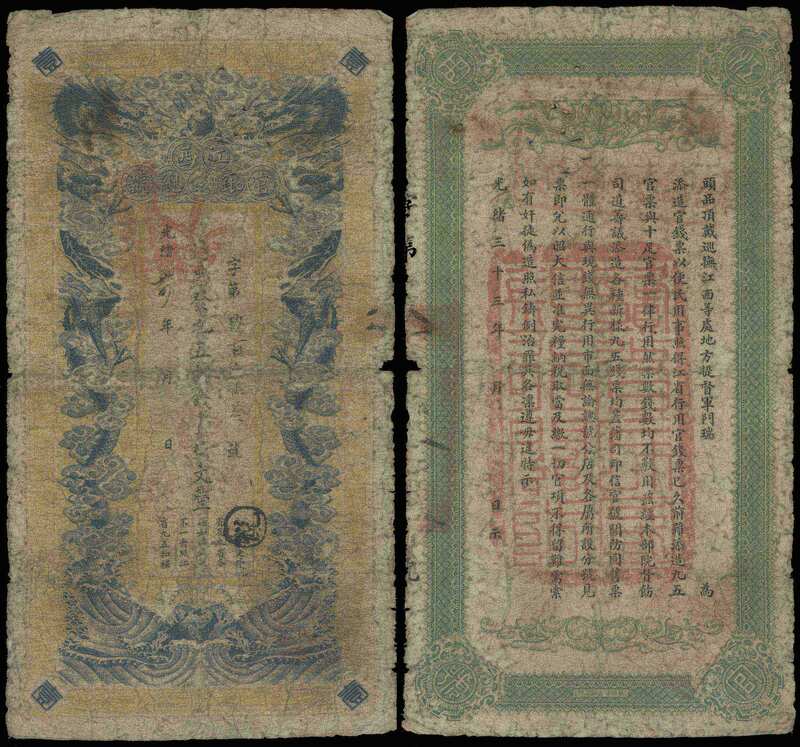 Shunchang private bank notes of Fukien province: 1928 2 Jiao x 2. Good Extremely Fine to AU. 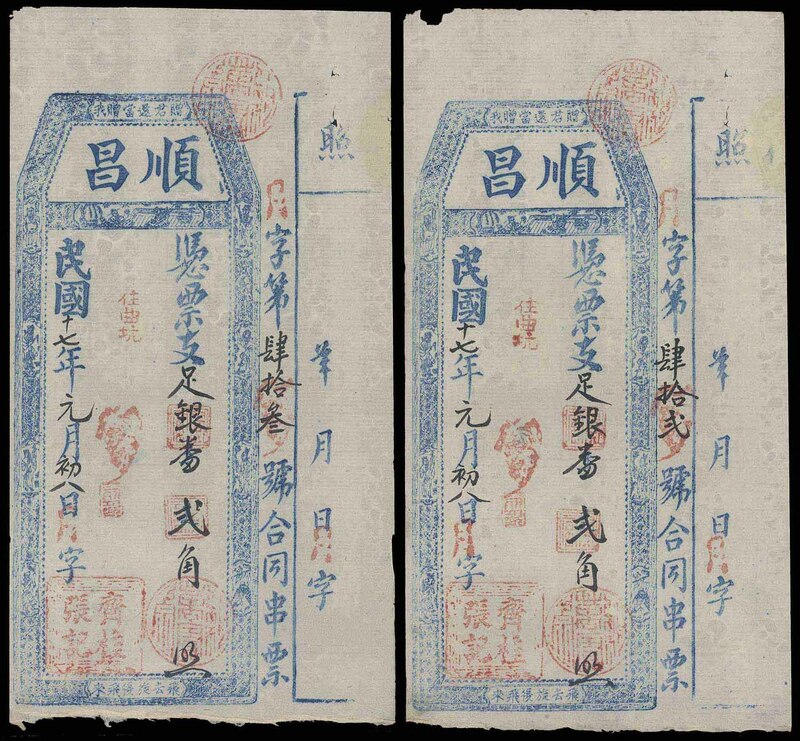 Kiangse Government Bank: Kwang Hsu Year 33 (1907) 1 Chuan Wen. Good. 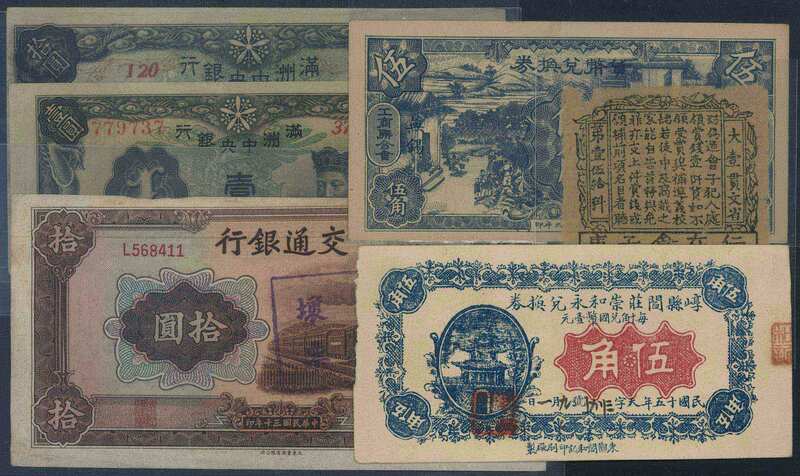 1910's-20's a group of 6 China banknotes, comprising The Bank of Territorial Development 1914 $1, The Chinese Italian Banking Corporation 1921 $1 & $5, Provincial Bank of Honan 1923 $1, Ministry of Finance Market Stabilization Bureau 1923 1 Jiao and Provincial Bank of Kwangsi 1929 $10. About Fine to UNC. 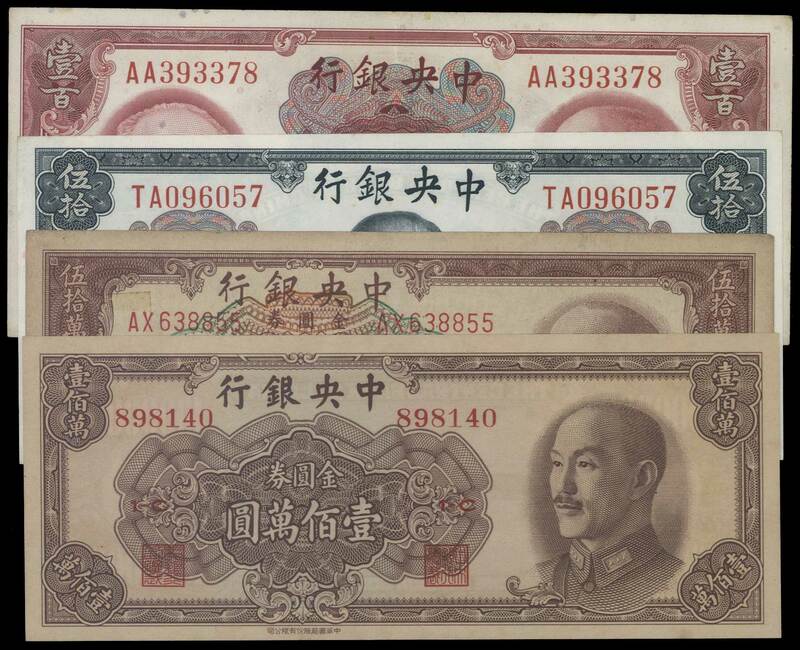 A group of about 31 Central Bank of China and Japanese Puppet Banks in China banknotes, comprising 1936 $1 x 4, $5 x 16 and 1945 $50 x 4. And some Manchukuo Central Bank and Federal Reserve Bank notes. Fine to UNC. Including many UNC. 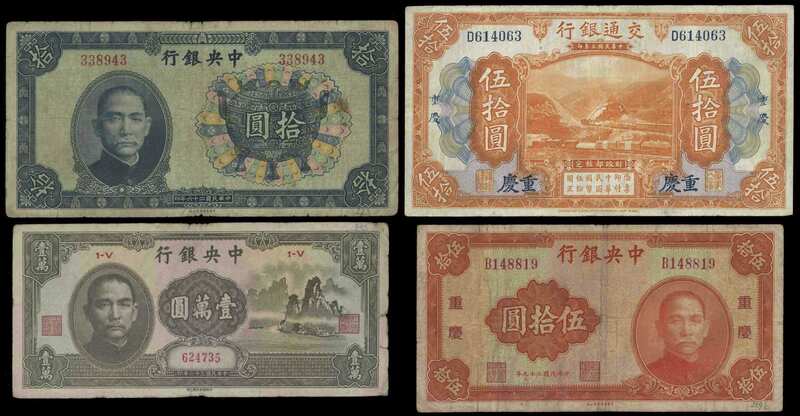 1914-43 a group of 9 Chinese banknotes, comprising Bank of China 1931 $5 x 2, 1934 $10, Federal Reserve Bank of China 1938 $100, ND $1000, Hupeh Provincial Bank 1914 100 Copper, 1942/43 Local Bank of Layang $10 x 2, and one Shangtung private bank of Moping 3 Jiao. Fine to AU. 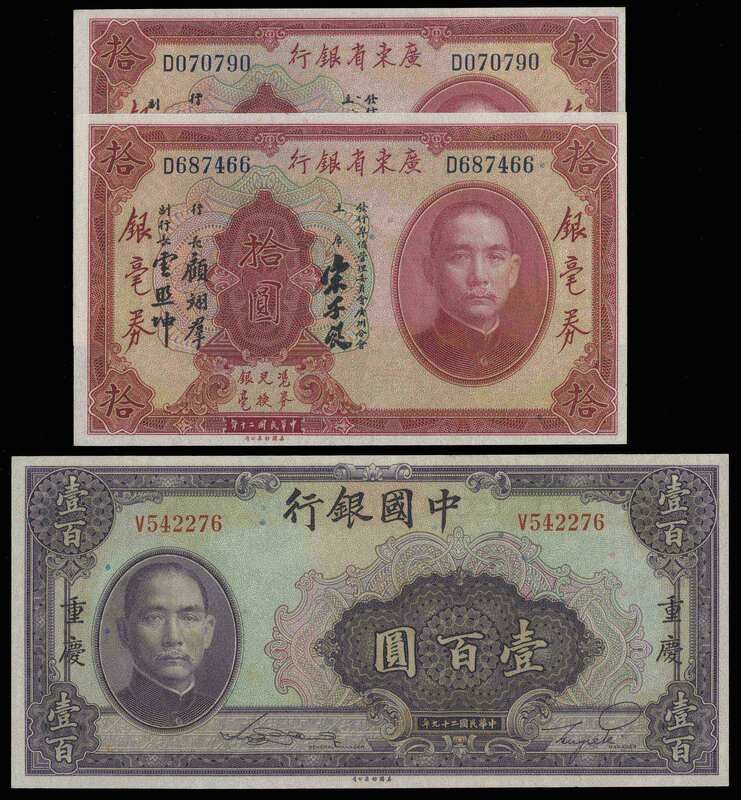 A group of 3 Chinese ABNC Print banknotes: comprising The Kwangtung Provincial Bank 1931 Local Currency $10 x 2 and Bank of China 1940 Chungking $100. AU to UNC. 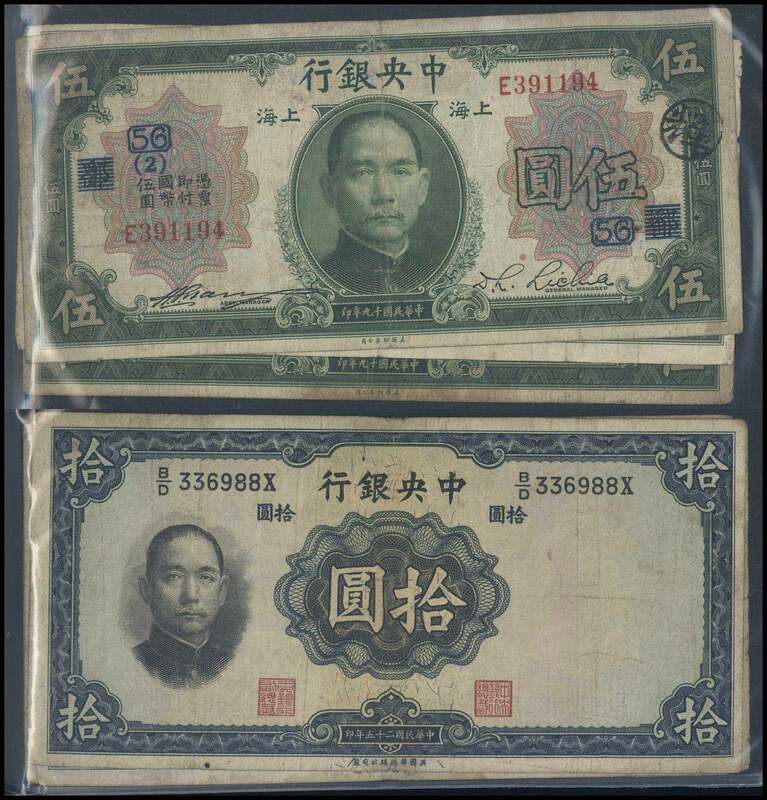 1941 and 47 two National Bank banknotes, comprising Bank of China 1941 Dah Tung Book Store print $10, serial no. 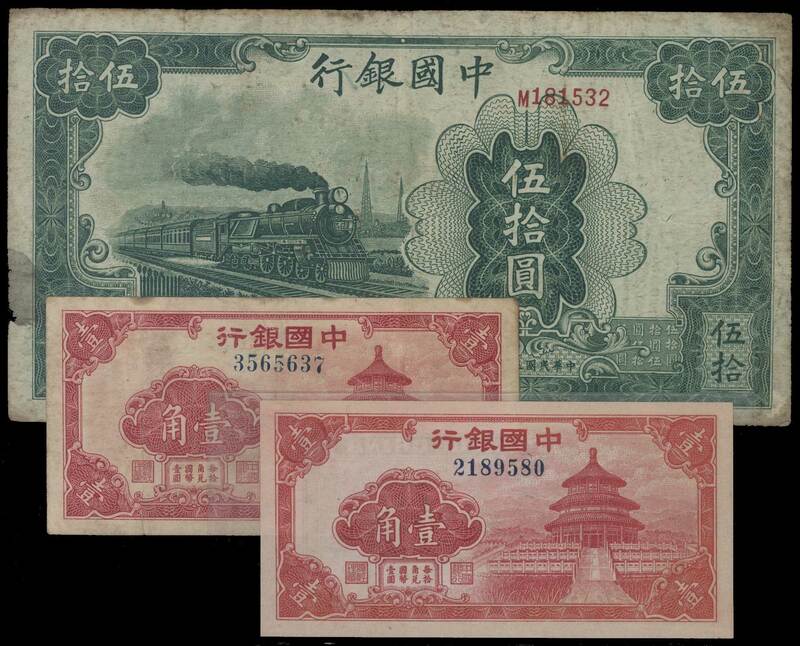 : A975843 and Central Bank of China 1947 Central Print $10,000, serial no. 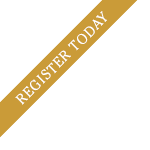 : QU215352. UNC/AU. 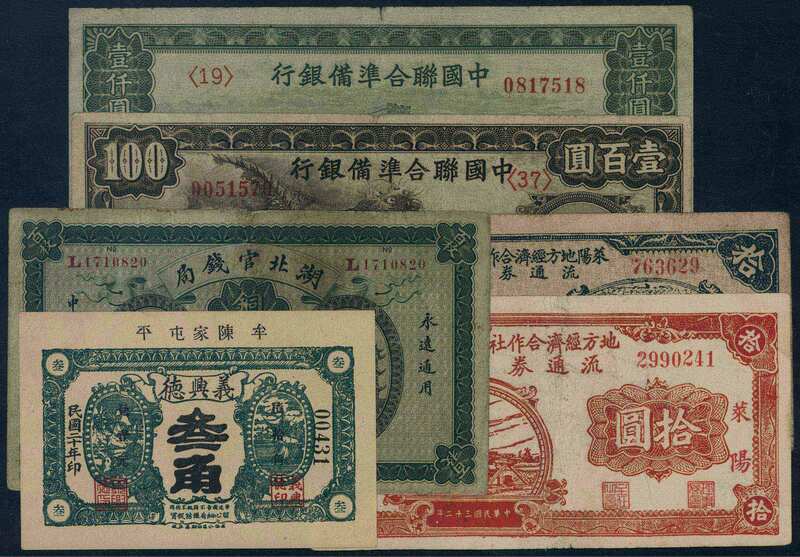 1935-49 a group of 8 China banknotes and a Shanghai Map presented by China Industrial and Commercial Bank, an interesting group. Banknotes from VF to UNC. 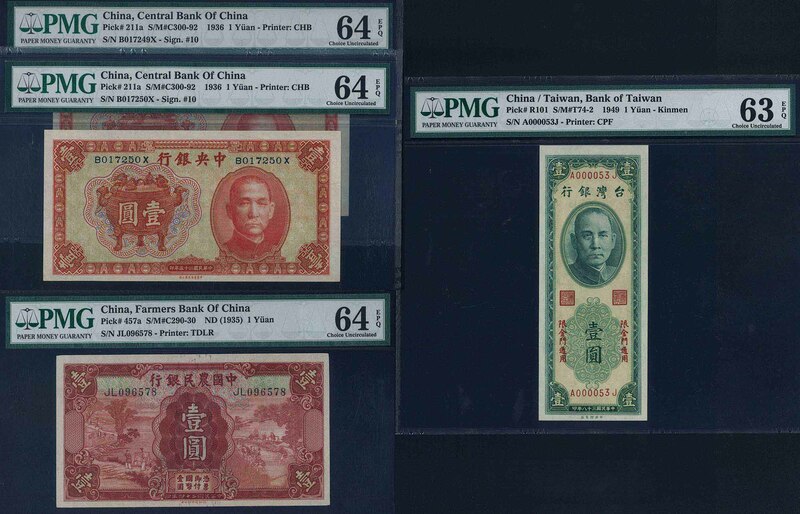 An album of China and worldwide banknotes, including about 68 Chinese notes and about 100 worldwide notes. Chinese notes mostly National Bank. From VG to UNC. Please view. A group of about 48 banknotes mostly China notes, including Central Bank of China, Bank of China, Bank of Communications, Farmers Bank of China, Japanese Puppet Banks in China notes, USA Military Currency and China private bank notes. Need inspection. 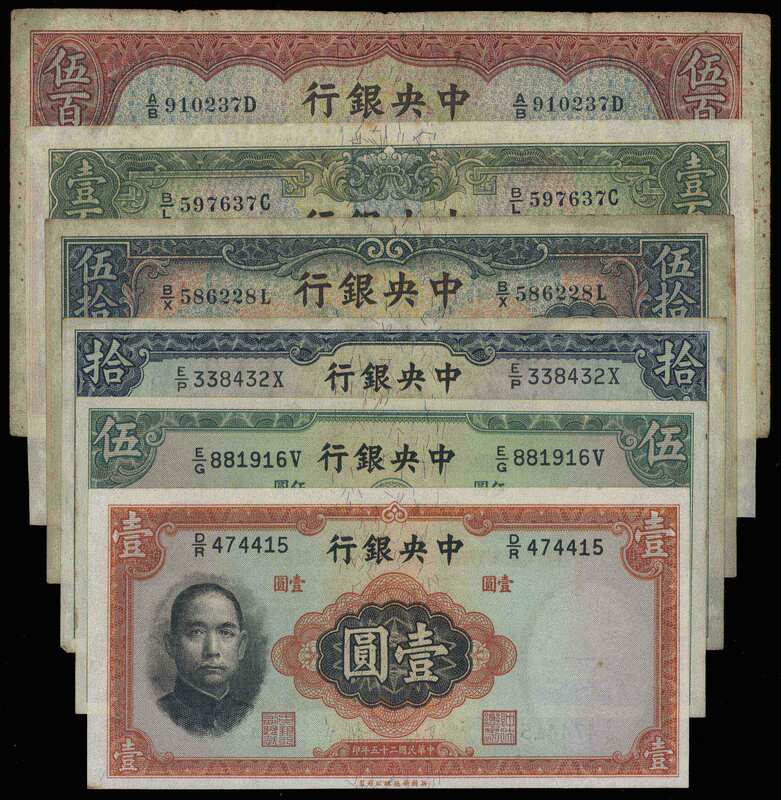 A group of 18 ROC National Bank banknotes, including Bank of China and Farmers Bank of China notes. VG to UNC. 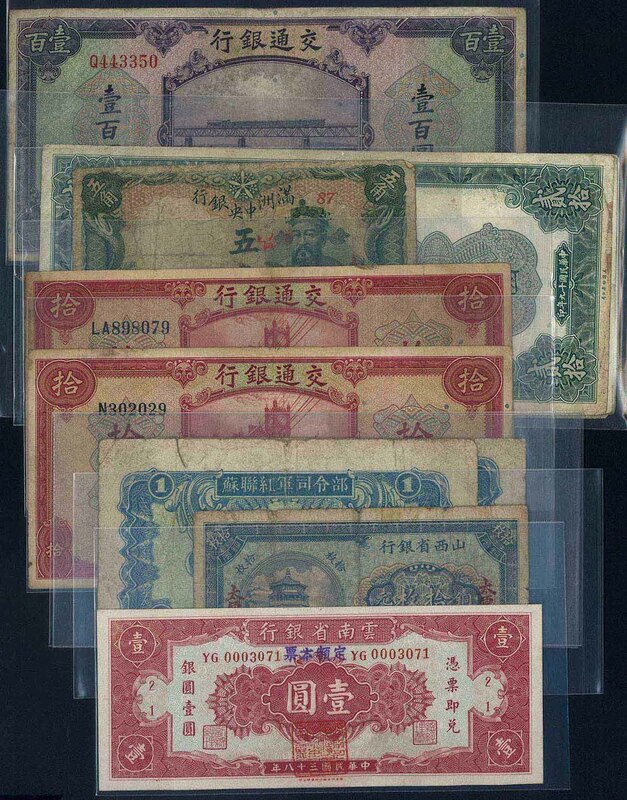 1920's-40's a group of about 60 Chinese banknotes, mostly The Central Bank of China or Bank of Communications banknotes, plus 5 Indonesia banknotes and one USA in Japan Military Currency 10 sen. VG to AU. 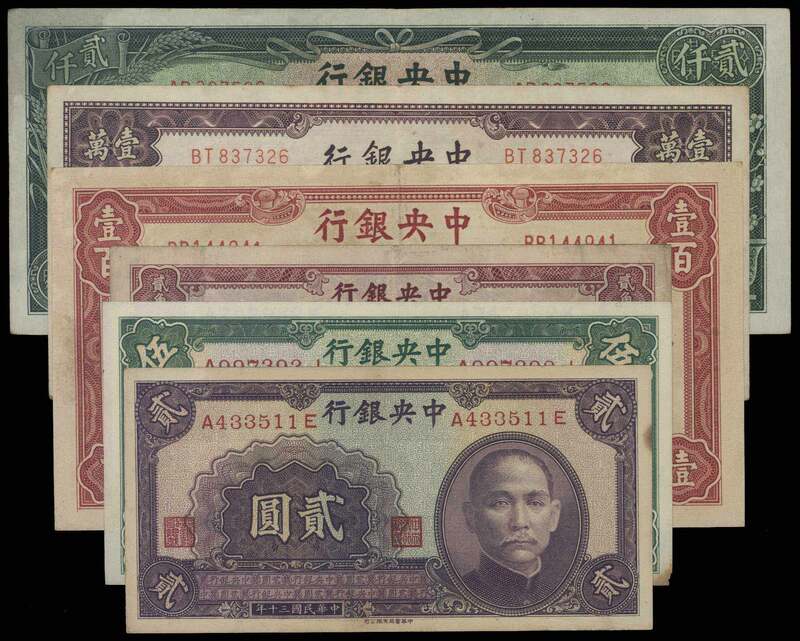 A group of 4 ROC banknotes, comprising The Farmers Bank of China 1935 $1, The Central Bank of China 1936 $1 x 2 with consecutive serial nos., and Bank of Taiwan 1949 $1 Kinmen used only. 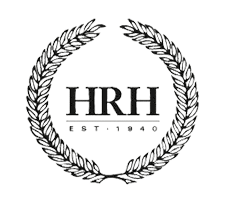 All Choice UNC, graded by PMG64 EPQ, 64 EPQ, 64 EPQ and 63 EPQ respectively. 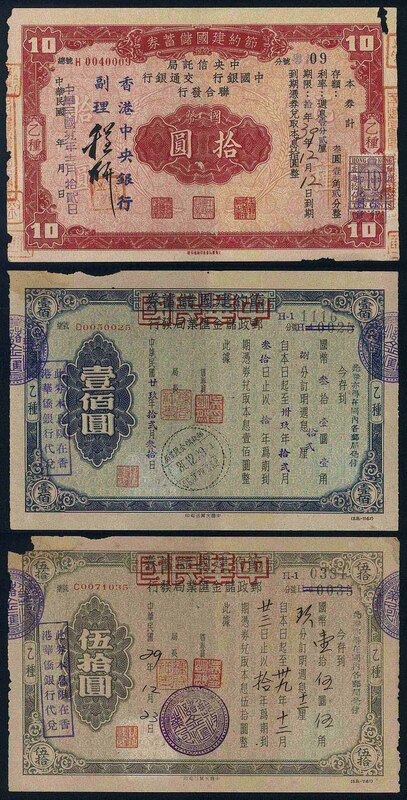 1940 a group of 16 Postal Saving Bonds, comprising $10 x 10, $50 x 2 and $100 x 4. $50 with corner faults. $10 with revenue stamps. 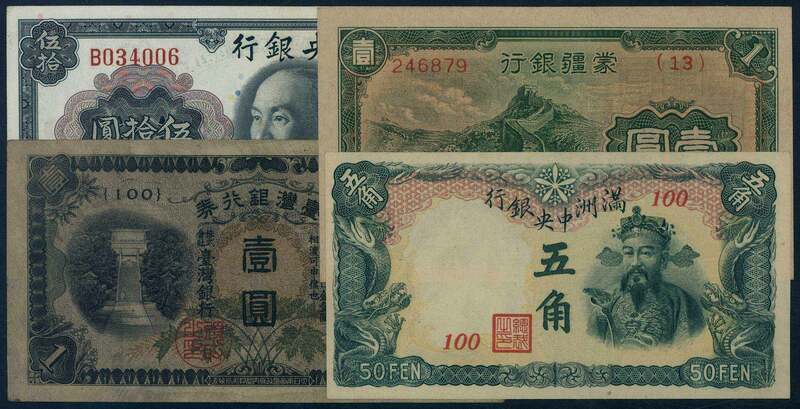 Generally VF-F.
1940's a group of 42 Central Bank of China banknotes, mainly Gold Yuan currency. Mostly different. Fine to UNC. 1930's-40's a group of about 24 Central Bank of China notes, mostly different, including some nice types. Fine to UNC. Central Bank of China: ND (1928) China Book Store Print 20 Coppers, with Ovpt. 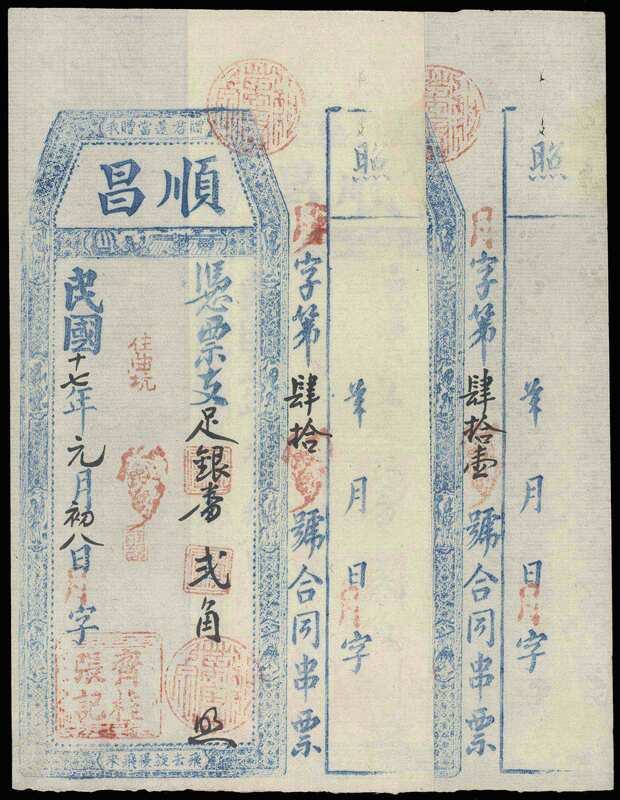 "Used in Szechuan for 1 Jiao", serial no. 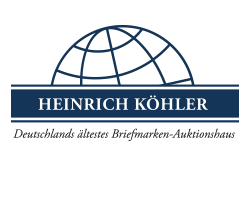 : S156194. Superb Gem UNC. PMG67 EPQ. 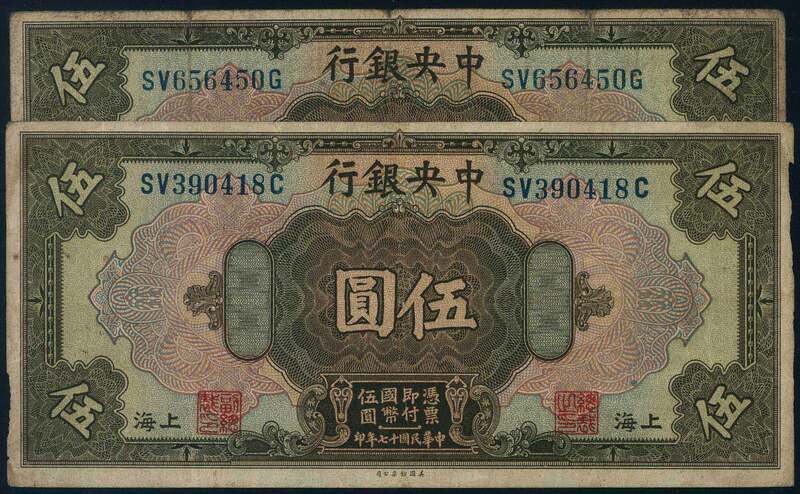 Central Bank of China: 1928 ABNC $5 x 3, serial nos. : SV237980F, SV390418C and SV656450G. VG to About VF. 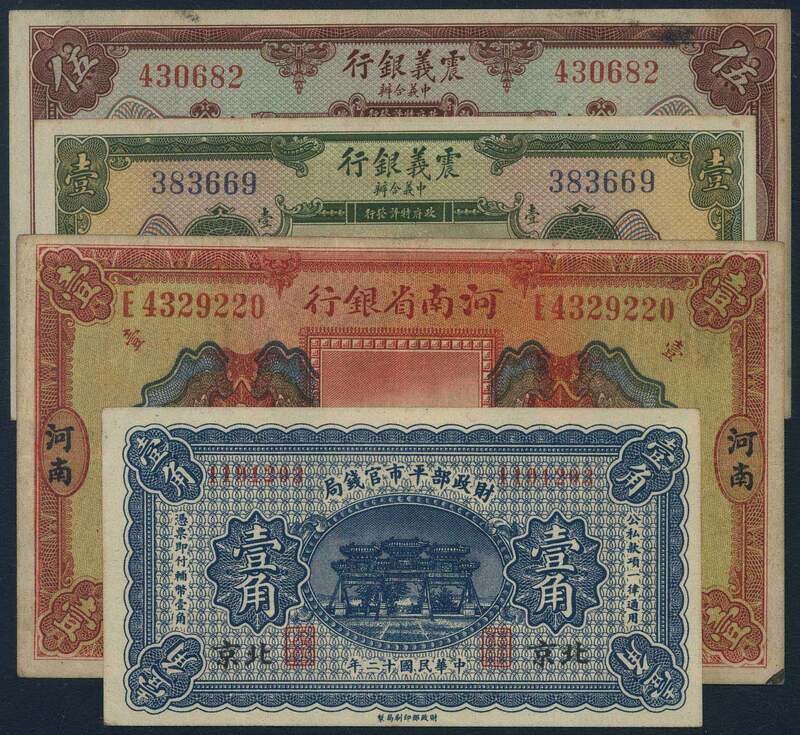 A group of 9 Central Bank of China banknotes, comprising 1936 $1, $5 x 4, $10, $50, $100 and $500. 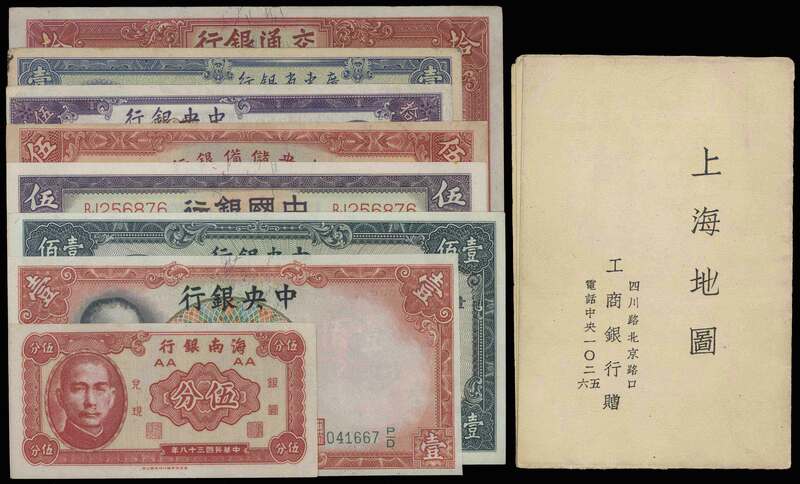 Central Bank of China: 1936 Chung Hwa Book Store Print $1 x 60 , with consecutive serial nos. : A654210F to A654270F. Generally UNC. 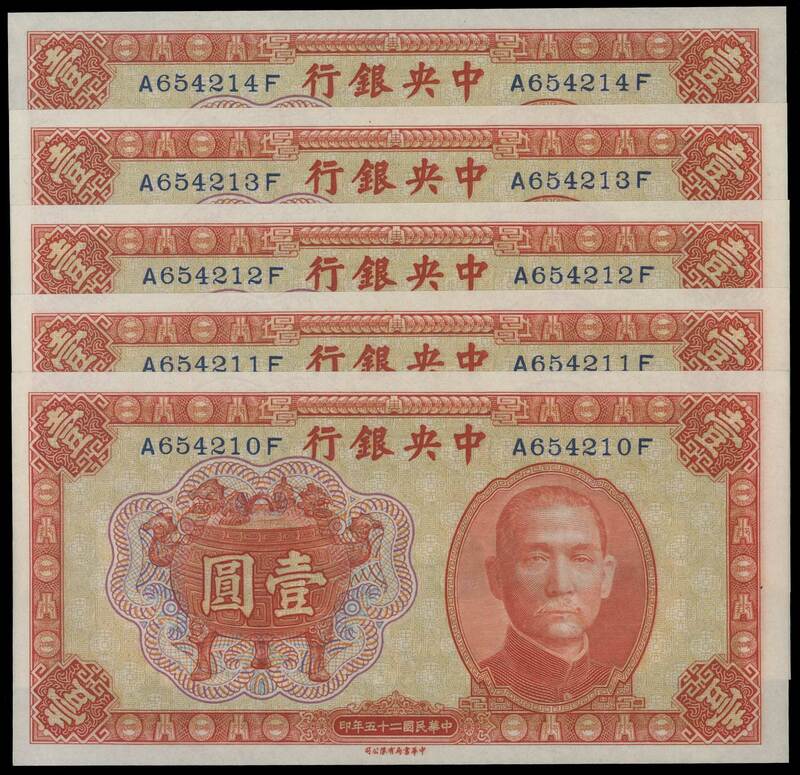 The Central Bank of China: 1942 Central Trust Print $20, serial no. 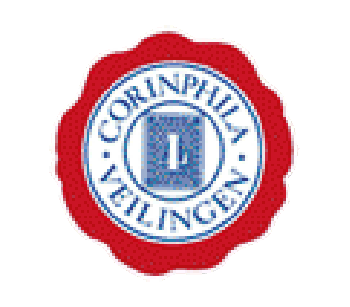 : AD483569. AU+. 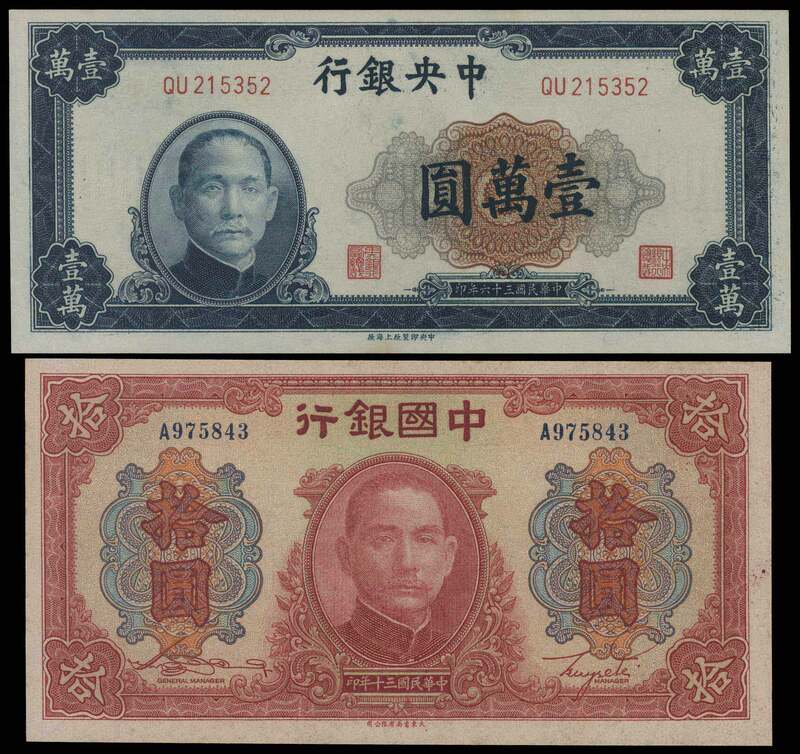 Central Bank of China: 1944 Da Yeh Print $200 and $400, serial nos. : E0473779 and E753877 respectively. Extremely Fine and Very Fine. 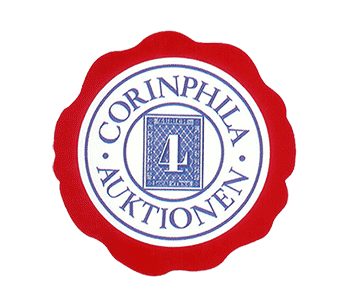 $400 with small thin at lower margin.